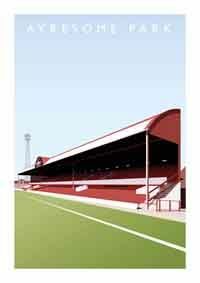 A truly awesome illustration of the old Ayresome Park main stand grabbed my attention from twitter. Sheffield based artist Matthew J I Wood has produced truly iconic images of so many English football grounds past and present. I came across your striking images of football grounds on Twitter. 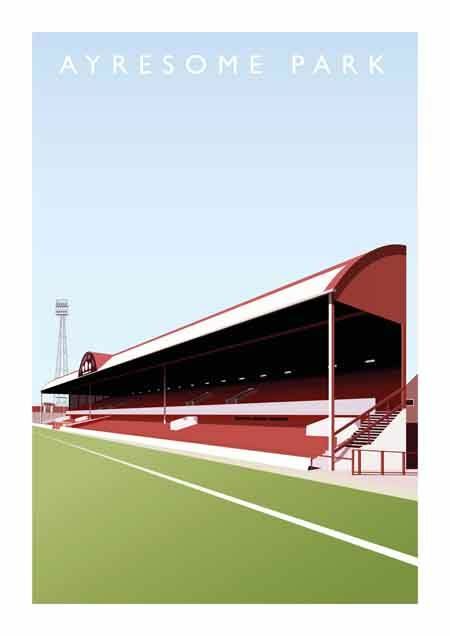 Living at Ayresome Park, I was immediately drawn to the illustration of the old main grandstand, the North Stand, still remembered fondly by many of us more seasoned supporters. Fly: Matthew can you tell us something about your art background, please? Fly: Could you also tell us about your football allegiances, whose colours do your wear? Fly: What made you decide to combine the football and art and architecture? MJW: The series of football ground posters I've produced came about by chance really - I produced the first design (of the exterior of Selhurst Park) as a present for a mate, and received requests from people who wanted to purchase a copy - this somehow snowballed to where I am now. Football grounds have been (until recently) one of the few constants in the life of a football fan, and the connection to them is very strong. Fly: How did you evolve your very distinctive style and how would you describe it? In some ways they remind me of old railway/holiday posters, is that fair? MJW: I love the old British Railways posters, and they were indeed a strong influence on my approach. I also try to boost perspectives to add a sense of scale, in the style of art deco artists like Cassandre. Fly: I love the way you have picked out old, sometimes long gone grounds e.g. Wigan or Wimbledon and Ayresome, Boro but they are special to their supporters aren't they? – Have fans said you are helping to keep the memory alive? MJW: I'm probably not alone in thinking that the majority of modern grounds are completely devoid of character or soul. So, whenever possible I've focused on the 'retired' grounds in history, which over time seem to have become more important to those that can remember them. Fly: You have done something I haven't seen elsewhere – you have made new stands and grounds look as iconic as the great lost grounds. Is that important to celebrate the present and future as well as the past? MJW: Of course - there's a whole generation now who won't have heard of Burnden Park or Plough Lane, and they will develop bonds to newer grounds instead. Whether or not it's possible to bond as strongly to grounds like the Madejski, Pride Park or the King Power is a different matter. 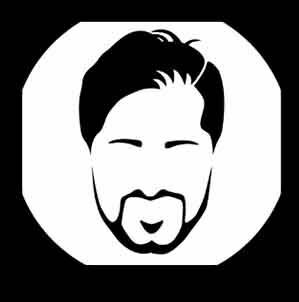 Fly: Football stadia are so important to people. I think they are almost places of worship. But they are often overlooked in society. Do you see your work as a celebration? MJW: I completely agree, there are a lot of similarities (good & bad) between grounds and churches. My work definitely celebrates these places, in the same manner as the British Railways posters. Fly: What are your future plans? MJW: I've worked my way through a third of the football league so far, so want to continue with that (there will be a few grounds I draw the line at though). After that I'm thinking of doing some Scottish grounds, and also some further afield (Spanish grounds in particular).